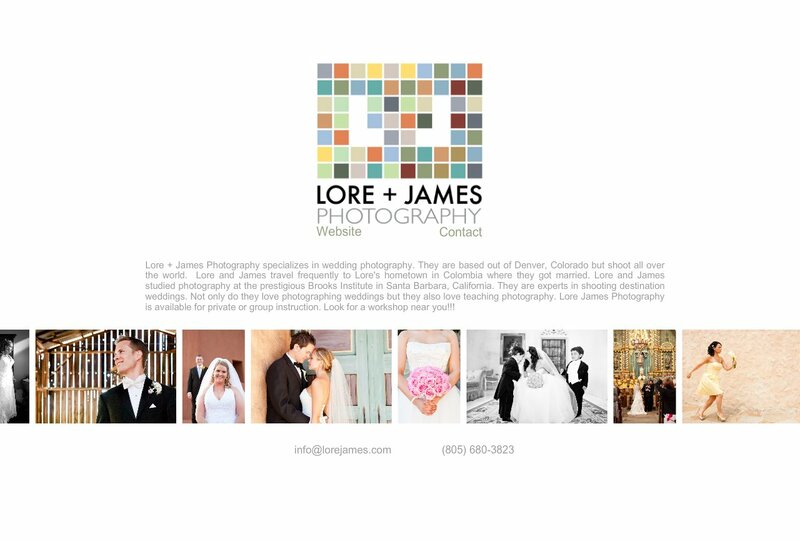 Lore + James Photography specializes in wedding photography. They are based out of Denver, Colorado but shoot all over the world. Lore and James travel frequently to Lore's hometown in Colombia where they got married. Lore and James studied photography at the prestigious Brooks Institute in Santa Barbara, California. They are experts in shooting destination weddings. Not only do they love photographing weddings but they also love teaching photography. Lore James Photography is available for private or group instruction. Look for a workshop near you!! !